The work of a farrier in Britain goes back many centuries and its roots can be found in the history books for almost as long as man’s link with horses. The earliest horse-shoes were in fact booties made from leather and plants. During Roman times, metal shoes attached with leather were called ‘hipposandals’. The date of iron shoes being nailed to horse’s feet is rather vague. Some historians believe it was the Celts circa 100 BC, but there is no firm evidence to support this. However it is documented in the “Tactica” of Emperor Leo V1 910 AD, that the items needed for a cavalry soldier included lunar or crescent shaped iron shoes and their nails. In 1000AD bronze horseshoes became common in Europe and a few hundred years later iron shoes started to be manufactured. Hot-shoeing, the process of heating the horseshoe before shoeing the horse, started to become common in the 16th century. The basic principles of shoeing a horse have not changed greatly since 1500 BC, however the standard of both the theory and practical application of the trade has vastly improved. Glue on shoes and hoof repair materials are now available. Although in many cases traditional materials are still the preferred option for any practising farriers. Whilst the methods used today have changed very little, this traditional craft can only be undertaken by a skilled farrier. To work as a farrier you must be registered with the Farriers’ Registration Council. The only way to register is to complete an apprenticeship. An apprentice needs to have at least 5 GCSE’s at C Grade and above and also complete a forging exam before entering into a 4 year 2 month apprenticeship. Part of the apprenticeship involves attending one of just three colleges in the country that offer the course for a total of 25 weeks. At the end of the apprenticeship they will take the Diploma of the Worshipful Company of Farriers exam before being able to practice farriery. Shoeing a horse involves several stages, old shoes need to be first removed with pincers, and then the hoof is trimmed to the proper length using nippers. The farrier then trims the sole and frog (a part of the hoof that is on the underside) with a hoof knife. A rasp is used to finish trimming and smoothing the hoof before the new shoe is put on. Once the hoof is balanced, the farrier will fit the horseshoe to the horse, then nails the properly fitted shoe to the wall of the hoof. The end of the nail is shortened, then bent down with a pair of clenching tongs to make the clench flush with the hoof wall. This ensures the horse will not cut himself on the nails. There are two processes that can be used; hot and cold shoeing. In hot shoeing, the farrier using the correct size shoe for the horse, heats the shoe in the forge and shapes it to be an exact fit. Once the perfect fit is attained, the shoe is cooled and nailed to the hoof. Farriers who use cold shoeing simply fit the correct size shoe onto the horse’s hoof. Altering shoes without the benefit of a forge can be difficult. On average, horses must be shod every six weeks. The Kent County Agricultural Society Shoeing Competition takes place at the specially built forge on the Showground. During the three days the forge has a number of different competitions that visitors are able to watch. There are between 50 and 60 competitors that compete over the three days with Hunter Shoeing, Heavy Horse Shoeing, Open Shoemaking for fully qualified farriers then another class split for 1st and 2nd year apprentices and then 3rd and 4th. Class 6 is a Forge and Bring Competition, which requires competitors to make two shoes and bring for judging. The shoes are judged on their symmetry, shape and balance, the farriers forging ability, how level the shoe is and the position of the nail holes. There is also a competition for Blacksmiths who can enter an item of door furniture. Blacksmiths work in iron and steel but unless they have undertaken the farrier training they are unable to shoe a horse. The Kent County Show Forge has grandstand seating to allow visitors the perfect viewing platform to observe the complicated and highly skilled process of putting a shoe on a horse’s foot In this competitive situation it also demands a great deal of teamwork to work at such a fast pace. The competition encourages high standards in the industry and brings together a community of farriers who otherwise would often work alone. The horses are supplied by a local livery yard and private clients. The competition is supported by a number of businesses and organisations and medals are awarded by The Worshipful Company of Farriers and The National Association of Farriers, Blacksmiths and Agricultural Engineers.  The competition promotes, maintains and encourages the highest standard of excellence in the industry and the Kent County Show is delighted that each year our visitors get the chance to watch and understand the important role it plays in the equine and wider community. Today there 2,600 farriers which cater adequately for the number of horses in the UK, this number ensures that the animals health and welfare is maintained. For dates of the different classes please go to our ‘Plan Your Day Tool’.